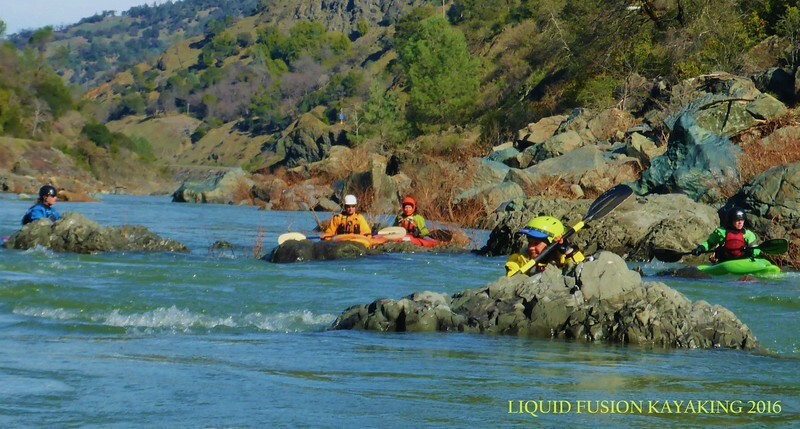 Last weekend, Liquid Fusion Kayaking offered its Precision River Running Class. This is a whitewater river kayaking class designed for intermediate whitewater kayakers that are looking to improve their river running skills. Drills, drills, drills doesn't sound like much fun but really it is. Several times, Jeff and I had to urge our students down river onto the next rapid because they were having so much fun and success at each spot. The paddlers in our group had quite different paddling backgrounds. Several were primarily sea kayakers getting into whitewater river kayaking and several were primarily whitewater kayakers looking to crisp up their skills. I guess anytime you have sunny warm days, whitewater, kayaks, and a enthusiastic crew; fun is likely to happen. We had a perfect flow on the Eel and had it all to ourselves. I had my first time giving Jackson Kayak's 2 Fun a try on the river. It took me a day or so to shift gears from the speed and forgiveness of the Zen but after that - it was TOO FUN! Cate surfing a river wave in the Jackson Kayak 2 Fun. I have to admit that Monday was my favorite day of the weekend. After 2 days of instruction, we offered a "Play with LFK Day." Our goal was to run the river. Of course we would coach and offer tips but the goal was for the group to put the weekend's training to use and to have a fun day running the river. I knew it was going to be an awesome day when I eddied out at the bottom of the first main rapid and watched our students tick tack toe eddy hopping back and forth across the river as they went down the rapid. It was affirming that Jeff and I were successful coaches in giving them the skills and confidence to play their way down the river - precision river running. 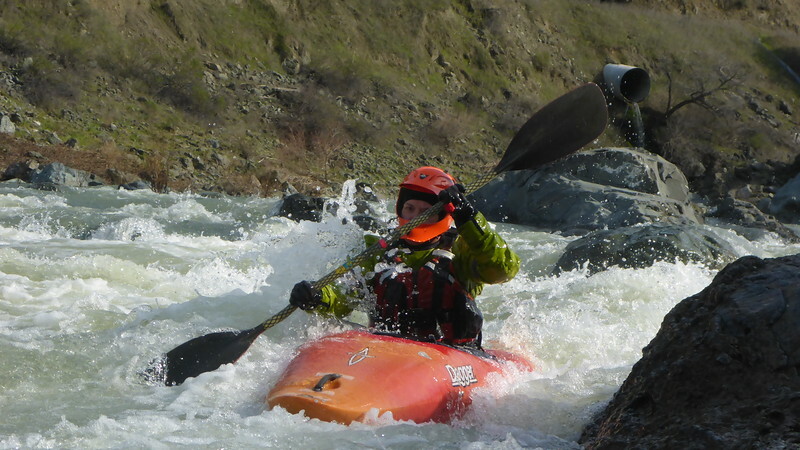 If you want to learn to whitewater kayak, we are teaching a whitewater kayak course for those with sea or surf kayak experience April 2-3, 2016 and Precision River Running April 9-10, 2016. Contact us for more information and to sign up.